Forever Manchester are pleased to welcome AT Engine Controls, who are our new Manchester Million supporters. Based in Worsley, ATEC (ATEC) manufacture, repair and overhaul a wide range of high reliability product for the Aerospace, Marine and Oil and Gas markets. 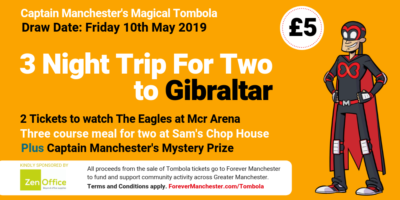 The company have a charity budget each year and have begun supporting us as a Manchester Million after liking what they’d seen and heard about Forever Manchester. ATEC will be supporting our Surviving Winter campaign in 2014 by asking staff to donate £5 instead of buying one another cards, which is something they’ve done for other charities in the past. They have done great things for charity in the past, including a Manchester to Blackpool bike ride and the Race For Life. Their staff hope to do more activities like this for Forever Manchester in the coming year.